Ball gowns for prom are very attractive. Ball gowns are puffy A shaped long gowns. Here at Cybernetplaza, you will find a large selection of prom ball gowns in bold colors and hot looks. These prom dresses are accentuated with various fashion accessories like ribbon bows, criss-cross backs, rhinestone brooches. These ball gowns either come with spaghetti straps or strapless. 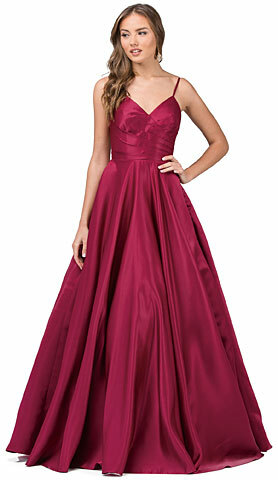 Our prom collection includes plus size prom dresses. Many of these beautiful and elegant ball gowns can also be worn as Pageant dresses. Are these gowns too expensive for you? Shop for cheap prom dresses. You are sure you find your perfect prom dress.